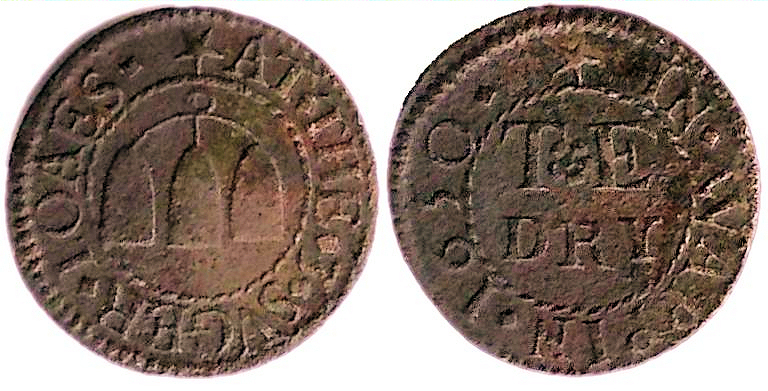 A farthing tradesman’s token issued at the sign of the three sugar loaves in Wapping, Middlesex. 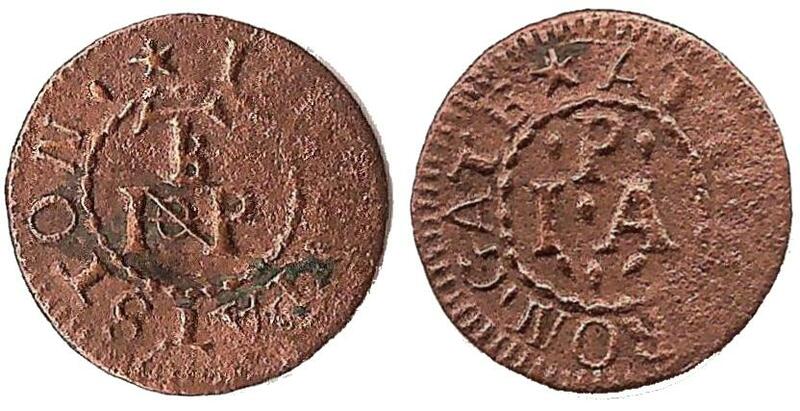 The above copper farthing token measures 15.9 mm and weighs 0.99 grams. 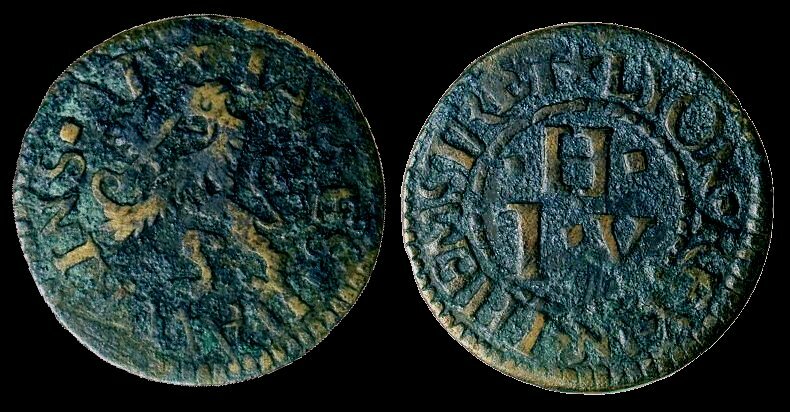 It was issued in 1650 by a tradesman in Wapping, a district of eastern London which runs along the north bank of the River Thames. Obverse: (mullet) AT. THE. 3. SVGER. LOAES, around twisted wire inner circle, depiction of three sugar loaves hanging from a common suspension hoop. 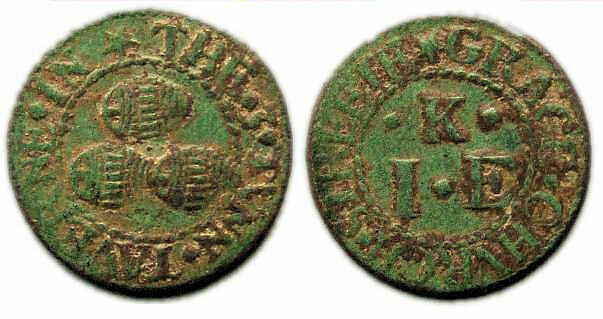 The two initials above the surname “Dry” on the reverse of the token are those of its issuer and his wife respectively, i.e. Mr. T. and Mrs. E. Dry. 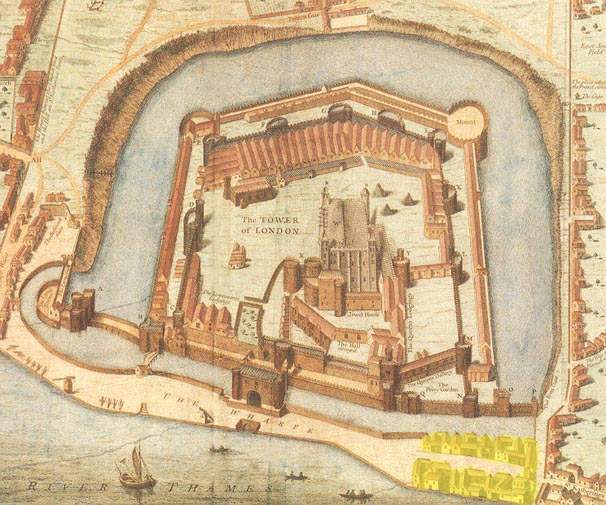 During the mid-17th century the area to the east of the Tower of London was still relatively lightly populated and in parts semi-rural. It contained a scattering of villages, including Wapping and Shadwell, which collectively were to become the borough of Tower Hamlets. 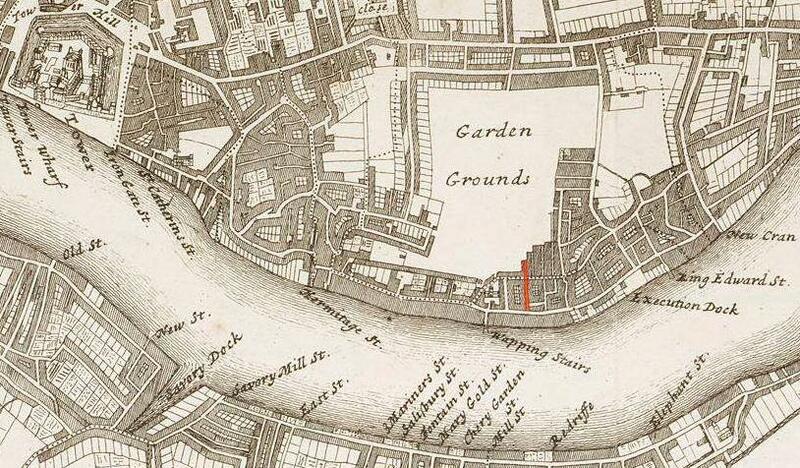 Wapping developed along the north embankment of the Thames, hemmed in by the river to the south and the drained Wapping Marsh to the north. 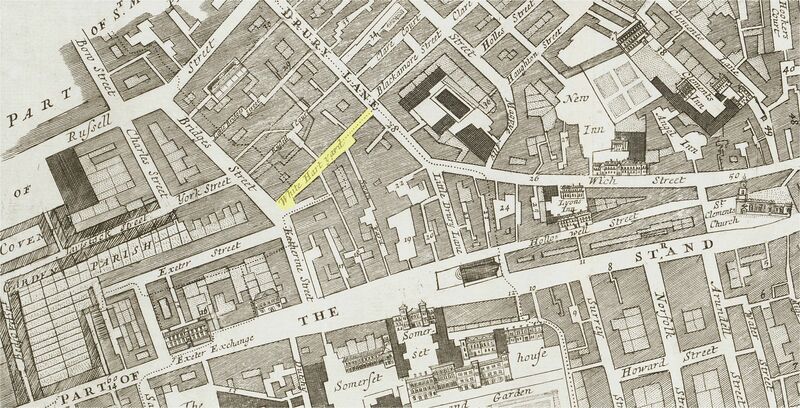 This gave it a peculiarly narrow and constricted shape, consisting of little more than the axis of Wapping High Street and some north-south side streets. 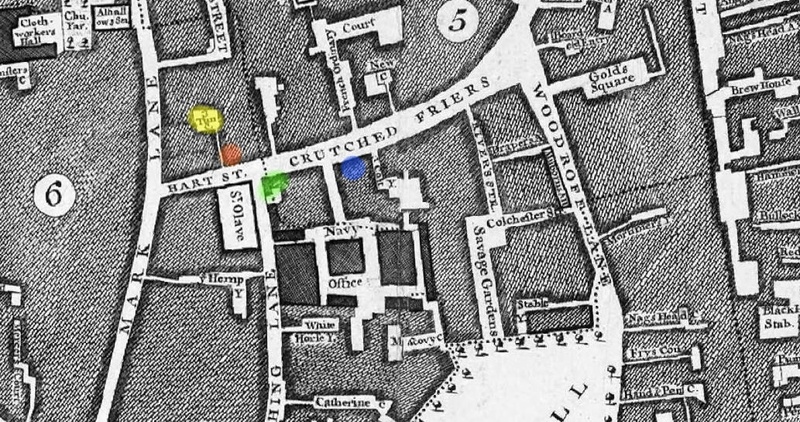 John Stow, the 16th century historian, described it as a “continual street, or a filthy strait passage, with alleys of small tenements or cottages, built, inhabited by sailors’ victuallers” (1). 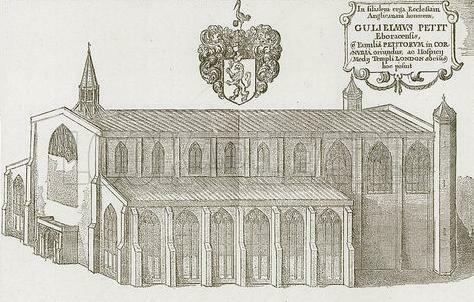 A chapel to St. John the Baptist was built in Wapping in 1617 although the hamlet continued to remain part of the parish of St. Dunstan and All Angels, Stepney until it was constituted as a parish in its own right in 1694. 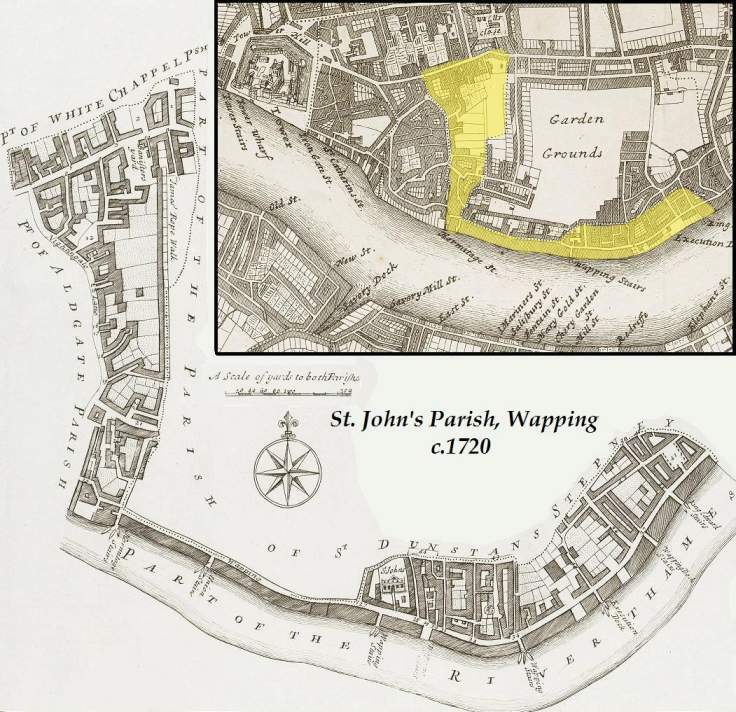 The Parish of St. John’s Wapping with inset map indicating its relative location within Eastern London (c.1720). 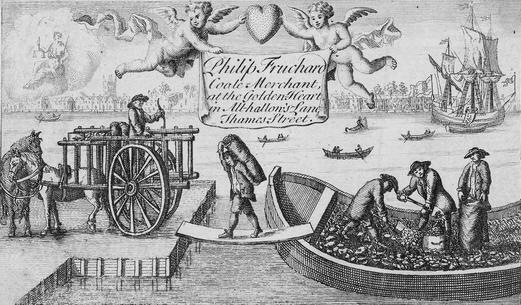 Being located on the north bank of the River Thames, Wapping had long been associated with ship building, fitting and provisioning. 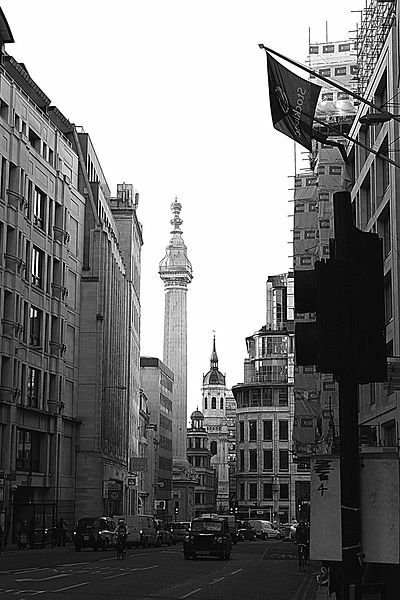 It was inhabited by sailors, mast-makers, boat-builders, blockmakers, instrument-makers, victuallers and representatives of all the other associated maritime trades. 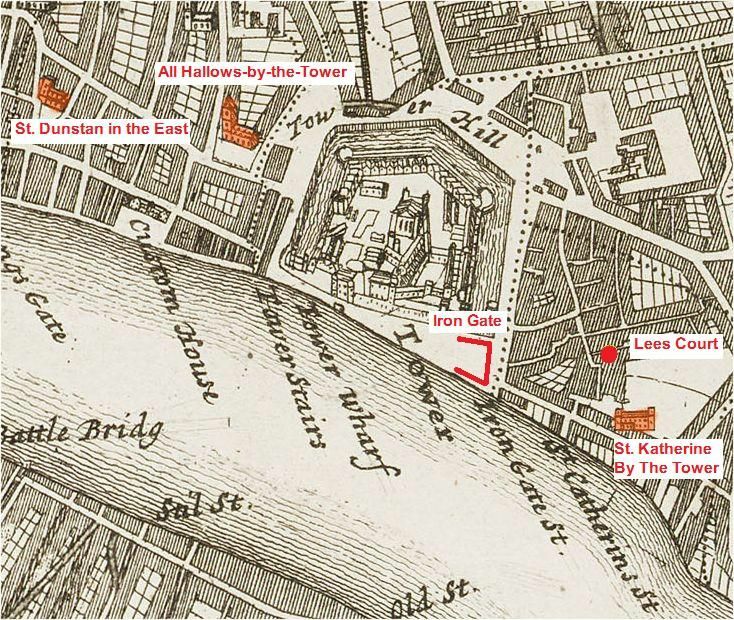 Wapping was also the site of “Execution Dock”, where pirates and other water-borne criminals faced execution by hanging from a gibbet constructed close to the low water mark. Once dead their bodies would be left suspended until they had been submerged three times by the tide. 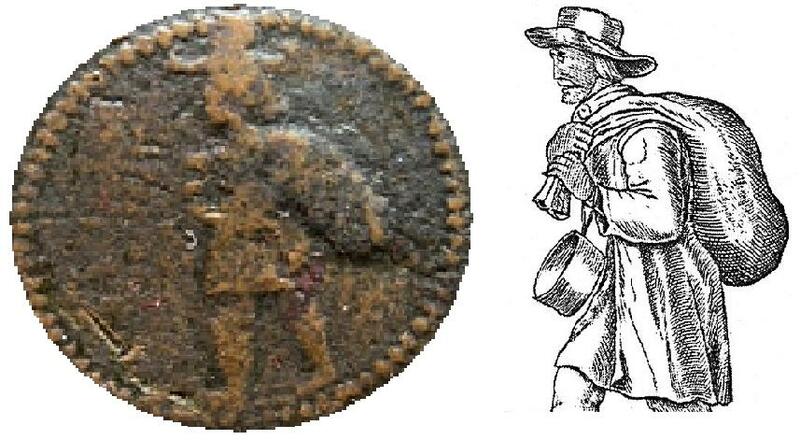 Other than working at (or by) the sign of the three sugar loaves in Wapping Mr. Dry’s farthing token gives no clue as to where precisely in the hamlet his business was located. However, the design selected for his trade sign does offer a potential clue as to his trade. A trade sign incorporating one or more sugar loaves is highly suggestive of its owner being a grocer (2). 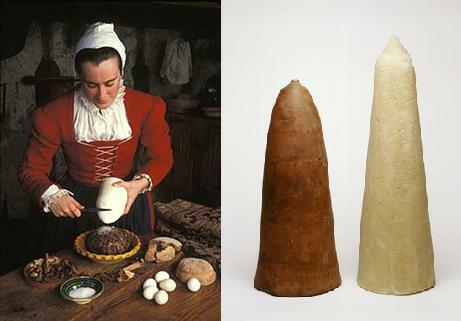 As one of the staple products sold by grocers in the 17th century, sugar, in the form of a distinctive wholesale loaf, would have been instantly recognisable and associated with their trade by the public. While this particular trade sign was very much favoured by grocers, examples of it are also known to have been used by certain other tradesmen. 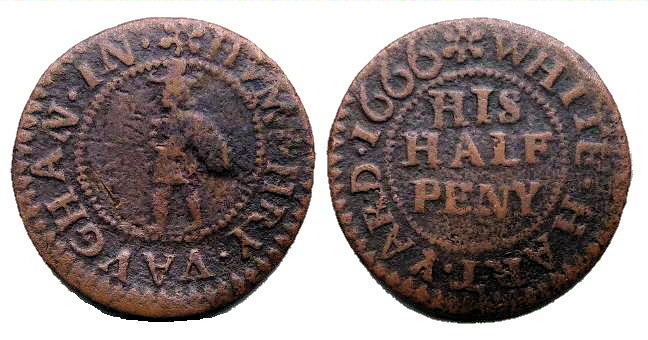 Amongst these are occasional examples belonging to taverns plus sundry use by confectioners plus at least one ironmonger and a chandler. 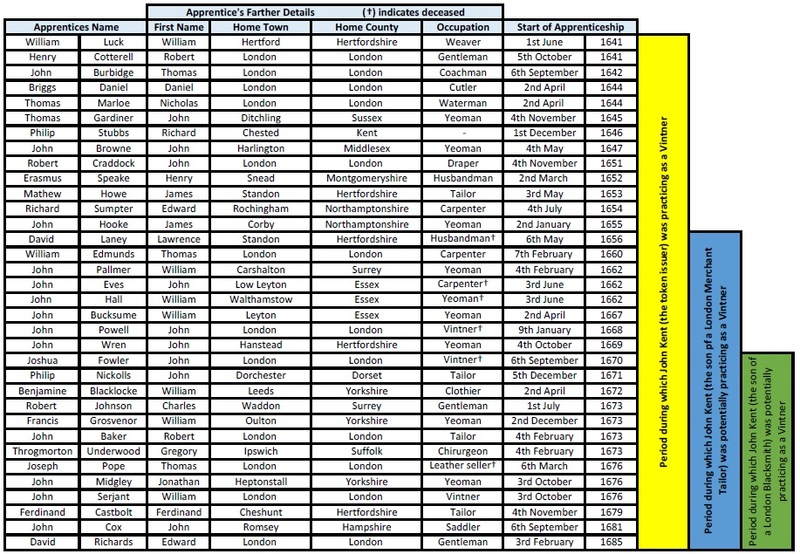 An examination of the names of 17th century apprentices and masters belonging to London’s Worshipful Company of Grocers (3) has failed to identify anyone with the surname “Dry”. However, this is by no means conclusive evidence that our token issuer didn’t practice in this trade. 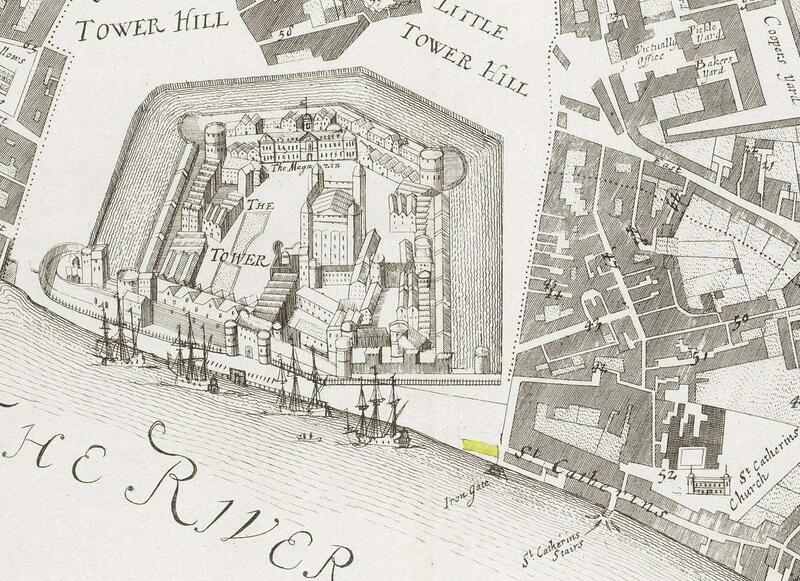 1) Elizabeth, daughter of Thomas Dry and his wife Elizabeth – Buried 4th October 1665 at St. John’s Church, Wapping. 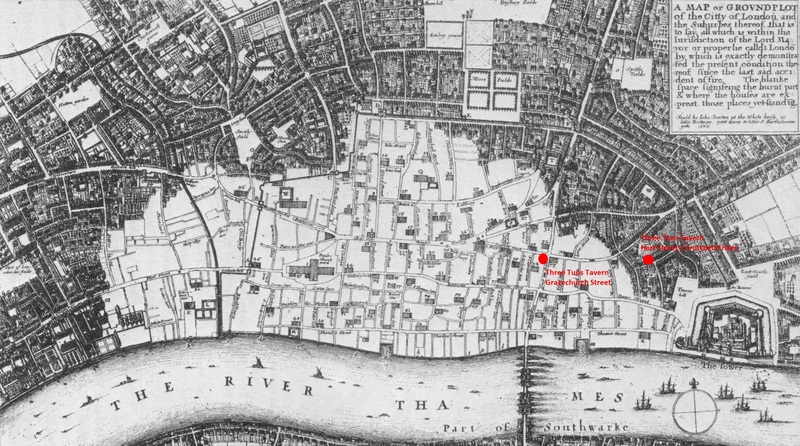 2) Thomas son of Thomas Dry of Wapping, Sawyer, and Anne – Christened 7th February 1665/6 at St. Dunstan and All Saints Church, Stepney. 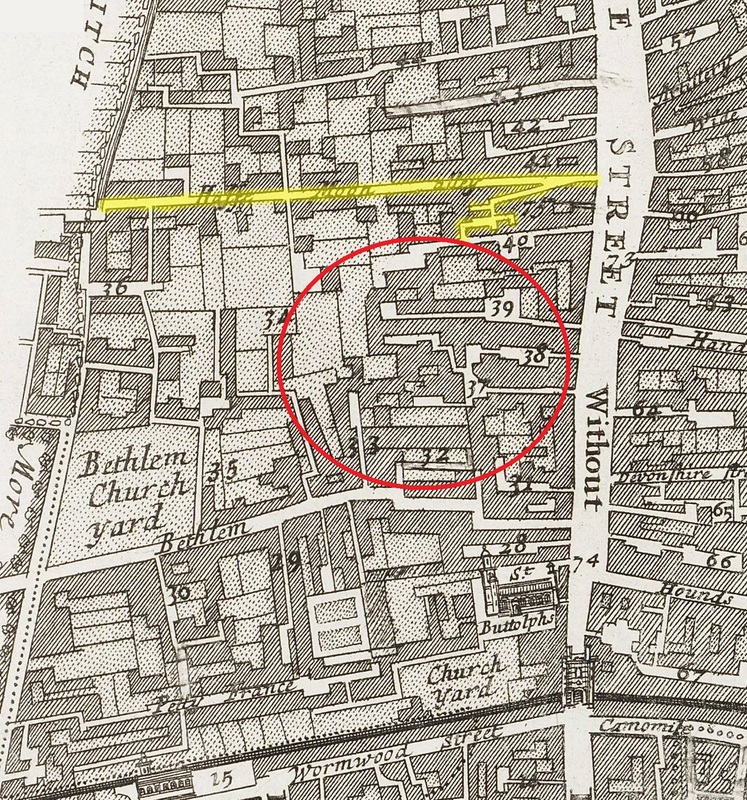 3) Thomas Dry of Well Alley – Buried 12th February 1668/9 at St. John’s Church, Wapping. A sub-notes in the register’s margin indicate that at the time of his death Thomas was poor and bed-ridden. 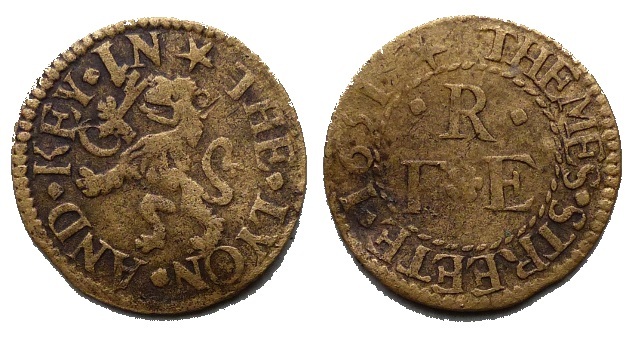 It is by no means certain that all or any of the above records refer to the same Mr. T. Dry who issued the above farthing token in Wapping in 1650. However, on the grounds of meeting so many of the historical pre-requests as outlined on the token the first of the three listed must have a very high probability of referring to Mr. T. and Mrs. E. Dry the token issuers. 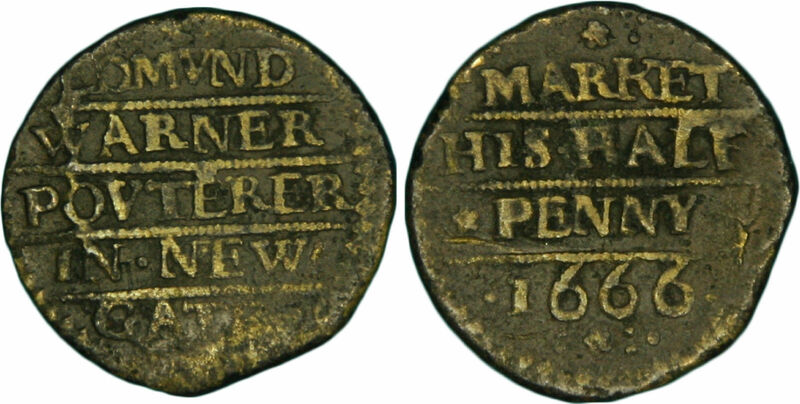 The second entry may relate to a later marriage of the token issuers, presumably after the death of the Mr. E. Dry referred to on the reverse of the earlier token of 1650. 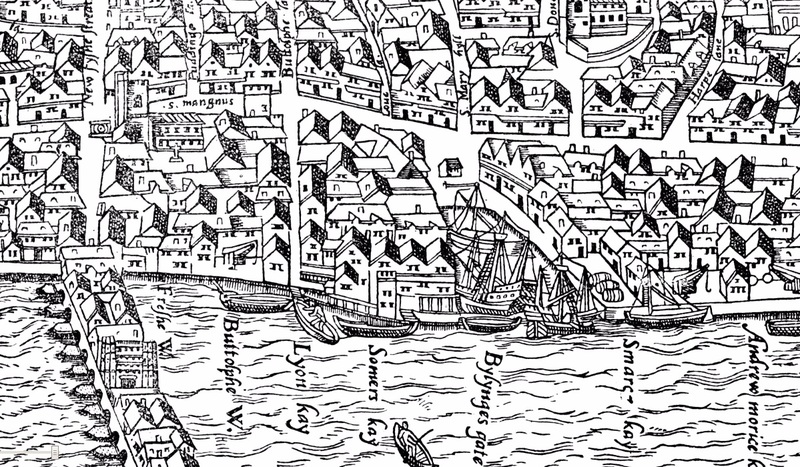 An analysis of east London Hearth Tax returns from the 1660s has indicated one that could relate to the token issuer, assuming he was still alive and living in the area at that time. 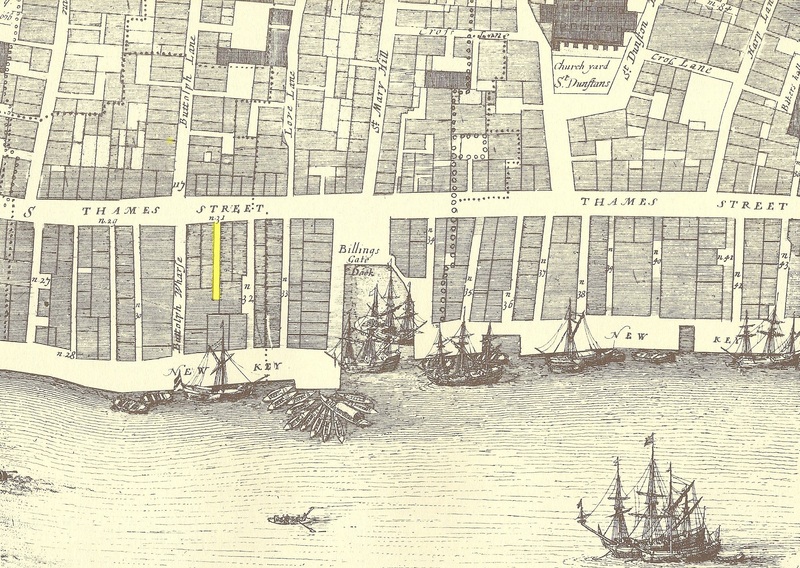 In 1666 a Thomas Drye paid tax on a property in Wapping Hamlet having 7 hearths (4). Such a number of hearths would indicate fairly substantial premises. 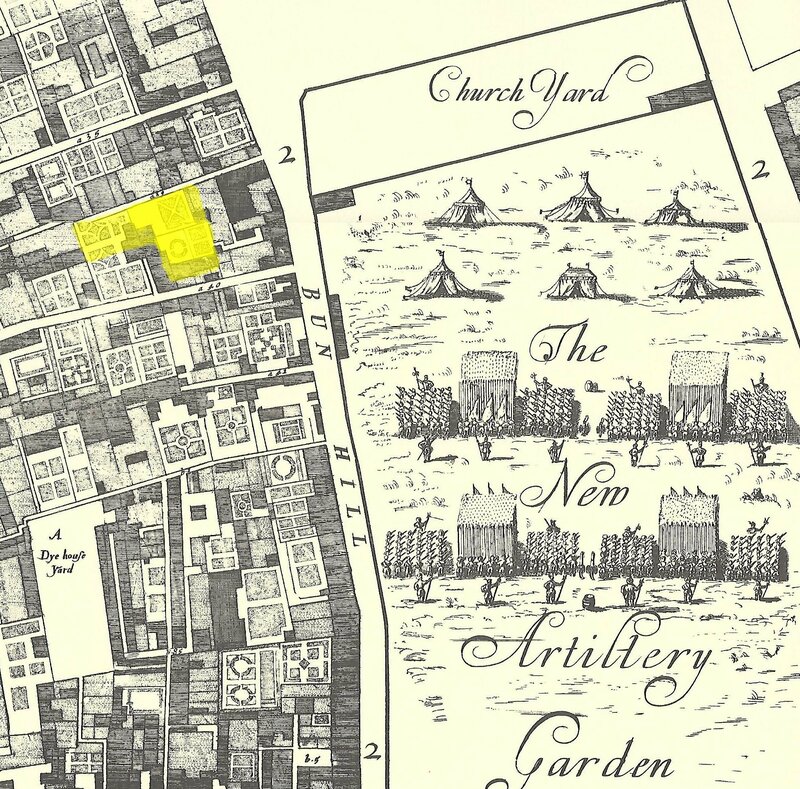 A further, but by no means exhaustive, examination of contemporary 17th century documentation for the east London area has identified two further potential references to the above token issuer. The earliest of these is dated 14th July 1659 and comprises a list of those men appointed by the Commonwealth Parliament to act as commissioners for the militia within “the Hamblets for the Tower of London”. Amongst those listed is one Thomas Dry (5). 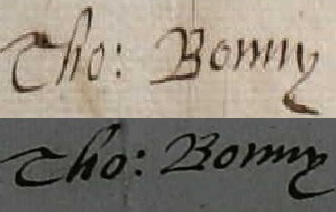 A further reference to a Thomas Dry can be found in the Middlesex Sessions Rolls for 1664. 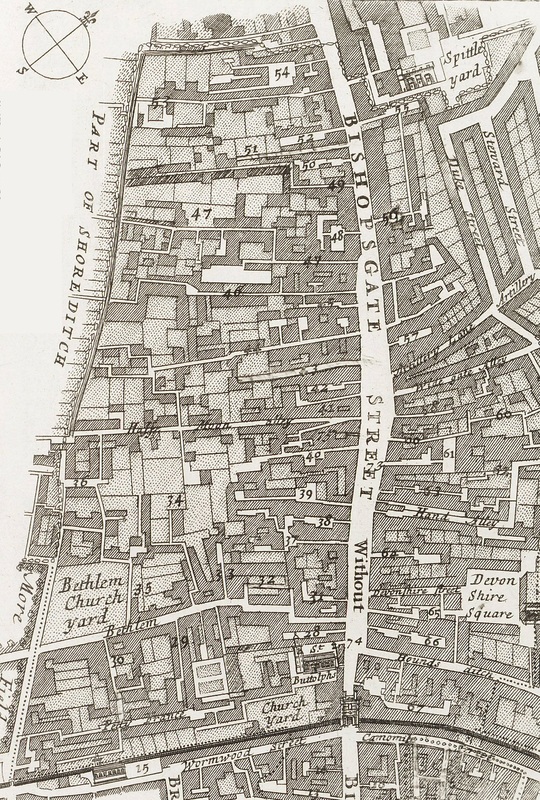 On 17th July 1664 a Thomas Dry, a grocer of Whitechapel (then an adjacent hamlet north of Wapping), came before the Justices of the Peace at Stepney. 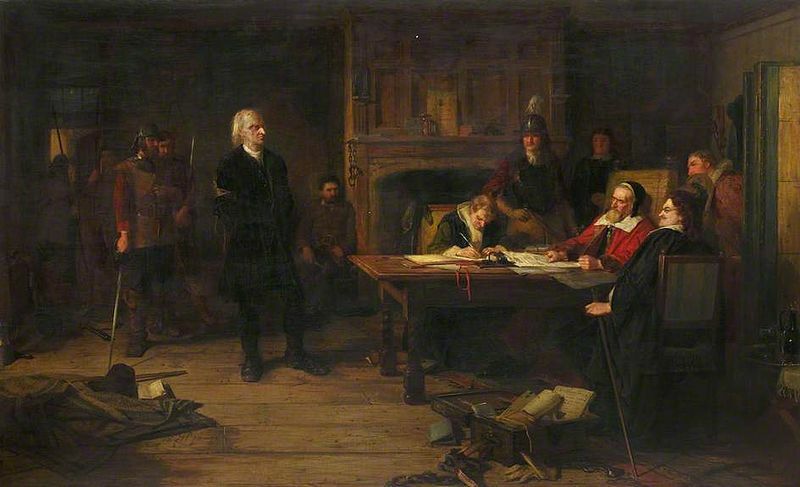 Thomas was one of approximately a hundred others (most likely Puritans) who had assembled illegally at the home of William Beanes of Stepney for the purpose of exercising religion practices other than those allowed by the Church of England under the Conventicles Act of 1664. 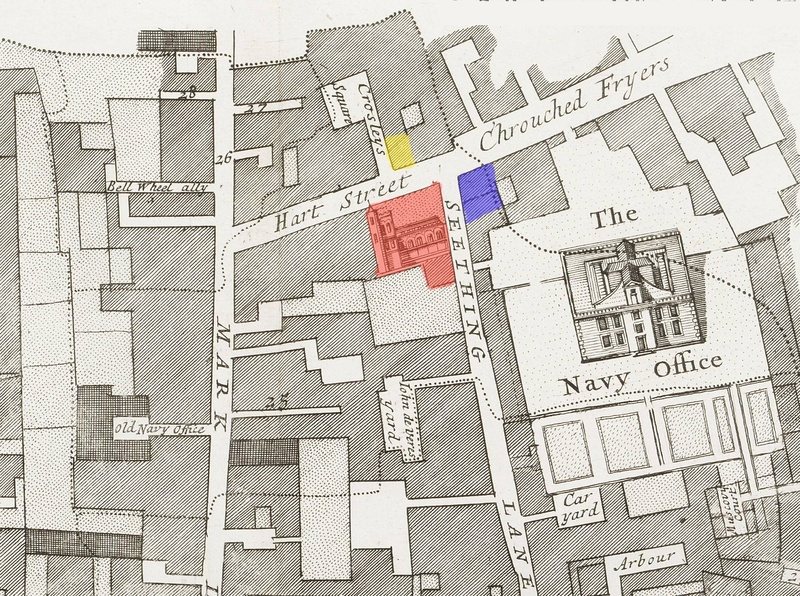 The entire group was found guilty and in the case of Thomas Dry the sentence handed down was 3 months imprisonment in Newgate gaol or payment of a fine of 40 shillings (6). 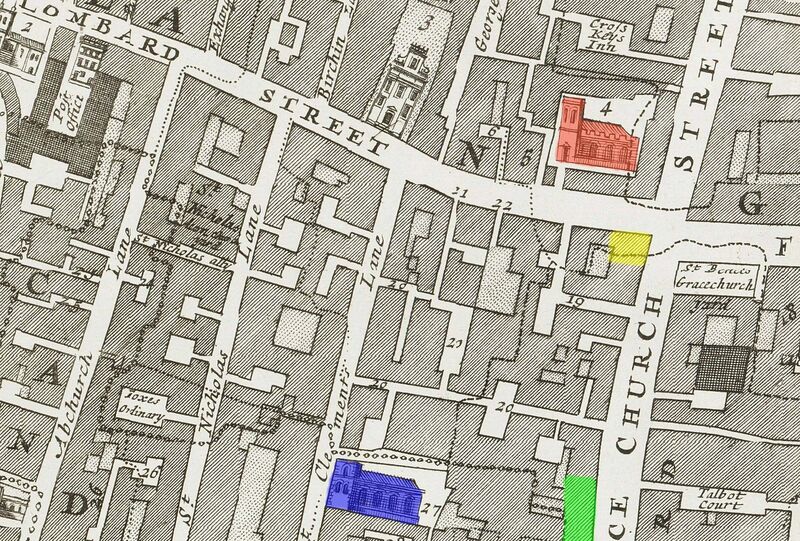 It is not know which of these two options Thomas opted for but he must have known that even 3 months in Newgate could potentially result in a death sentence. 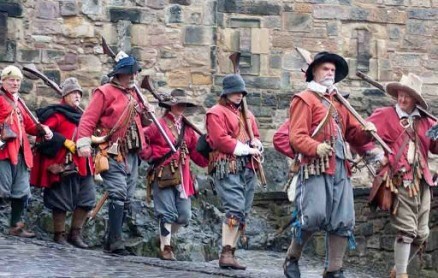 It has been estimated that one in 10 of those imprisoned in the gaol during the second half of the 17th century died within its walls due to the foul and overcrowded conditions which were a breeding ground for germs and decease. By linking together the above references in chronological order it is possible to construct various possible adult life histories for Thomas Dry. 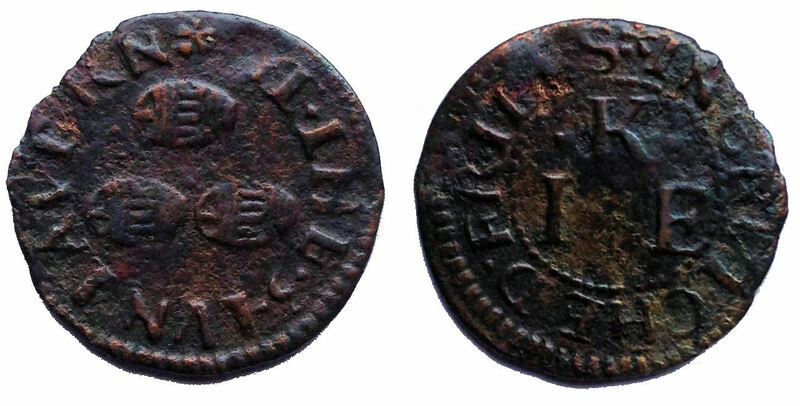 However, it is impossible to say with any certainty that all of the referenced quotes relate to a single individual and that he was the same Mr. T. Dry who issued trade tokens in Wapping in 1650. 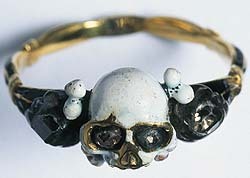 2) Strype, J. – A Survey of the Cities of London and Westminster: Containing the Original, Antiquity, Increase, Modern Estate and Government of those Cities. – Corrected, Improved, and very much Enlarged Edition. 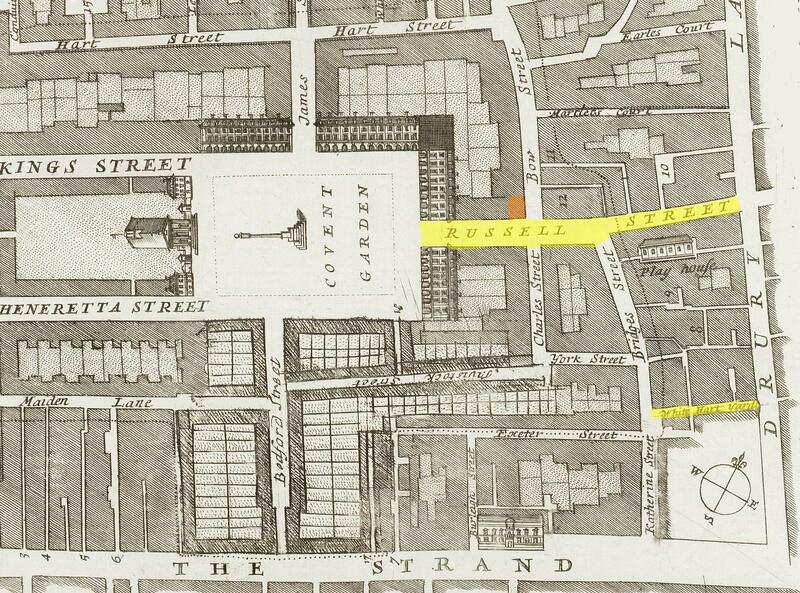 (London, 1720). 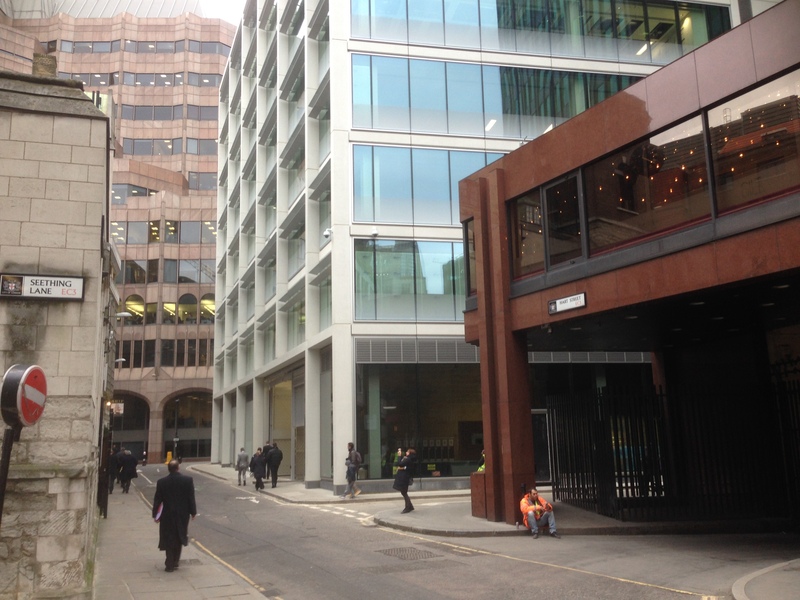 3) Webb, C. – London Livery Company Apprenticeship Registers, Grocers’ Company Apprenticeships 1629-1800. Volume 48. (Society of Genealogists. 2008). 4) Davies, M.; Ferguson, C.; Harding, V.; Parkinson, E. & Wareham, A. – London and Middlesex Hearth Tax. The British Record Society. 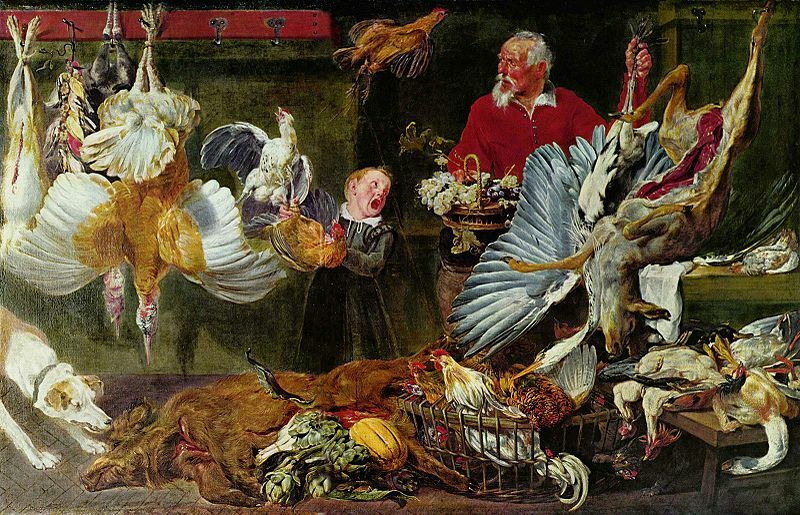 Hearth Tax Series Volume IX, Part II. (London, 2014). 5) Acts and Ordinances of the Interregnum, 1642-1660. 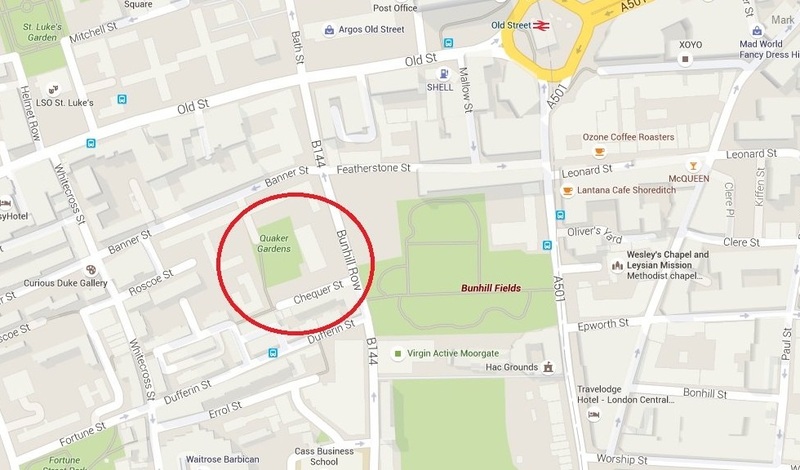 His Majesty’s Stationery Office. (London, 1911). 6) Middlesex County Records: Volume 3, 1625-67. Middlesex County Record Society. (London, 1888).